1.Best practices on how to create a dynamic and synergistic blended learning experience. 3. How to work with stakeholders to implement your new blended learning program. 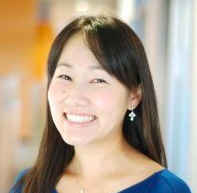 Kana Shiota is the Sr Manager of Professional Services. Prior to joining NovoEd, she managed employee trainings at Procter & Gamble, taught English in Japan, then moved to the Bay Area to develop career education programs at the Stanford Graduate School of Business. She completed her BA at Stanford University and her M.Ed. from the Harvard Graduate School of Education.